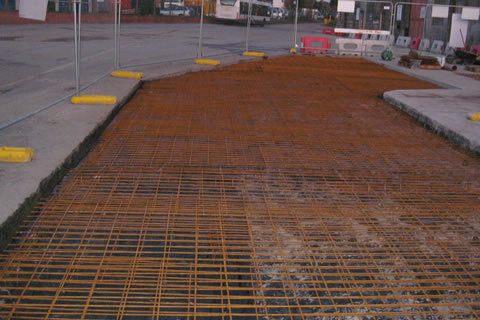 Our team has significant experience in the delivery of groundworks packages for various projects, regardless of size ranging from individual strip footings, through to specialist low ground pressure rafts and engineered piling. We have the knowledge and capabilities to carry out roadwork’s and the associated utility and service provisions for your project from road base construction, drainage and through to final surfacing. Members of our team also comprise of RASWA trained Supervisors and Operatives who are competent when working in the Highway and as instructed by local authorities and to HAUC standards. Service Roads Packages – Drainage, Utility Provision, Flagging, Kerbing & Paving. Site drainage works including foul and top water drainage, attenuation and silt traps and adoptable main sewer installations. Topographic setting out and surveying. Many of our client’s sites in the Transport, Education and Healthcare sectors are ‘Live’ continual working spaces. We work closely alongside them to devise working methods that are productive to achieve the intended completion dates, safe for all persons and have minimal impact upon their day to day business.